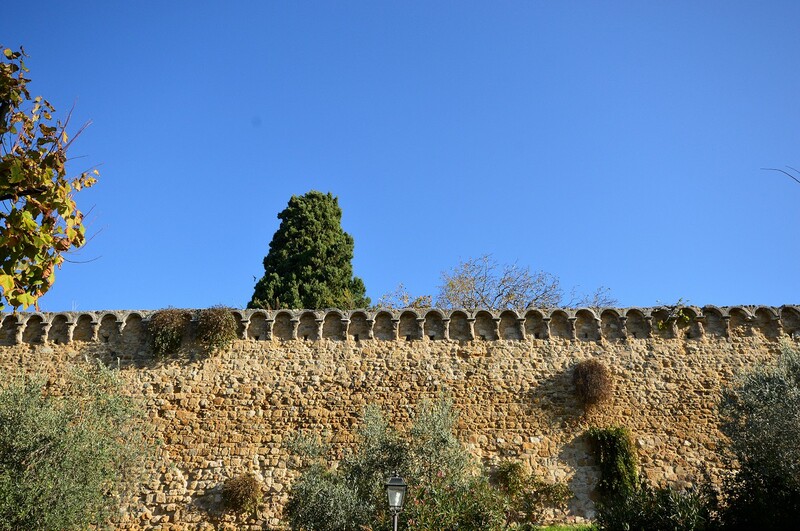 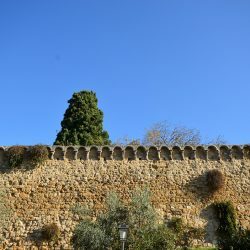 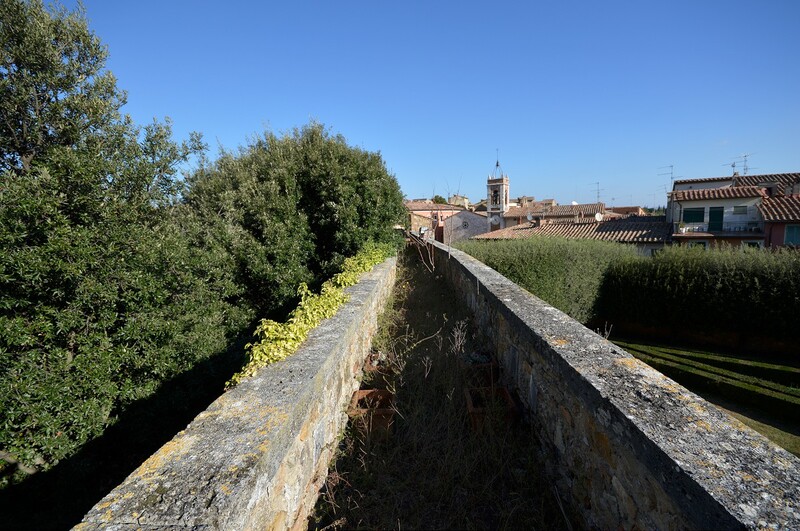 On the old village walls, with beautiful architectural elements, wonderful loggias, ancient walkways on the old walls. 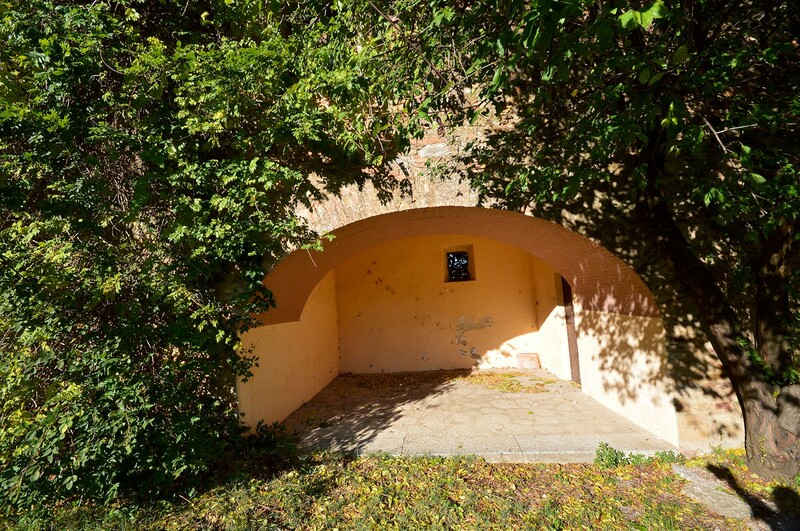 Shared park. 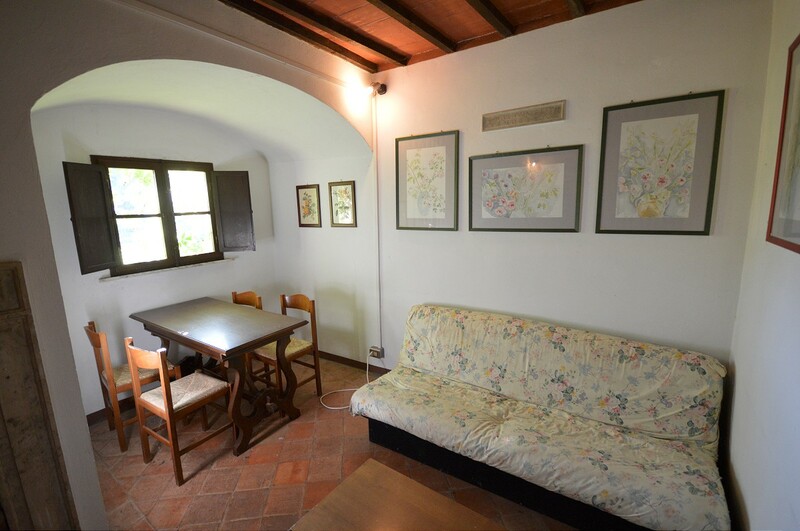 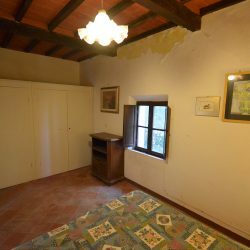 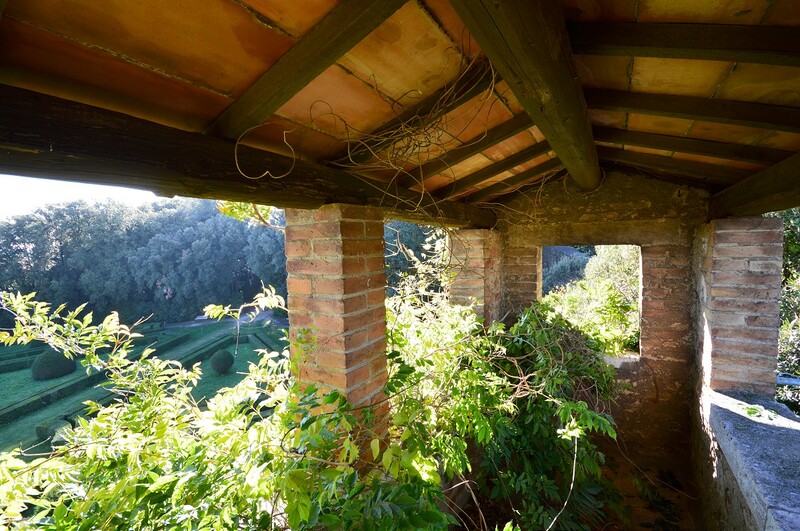 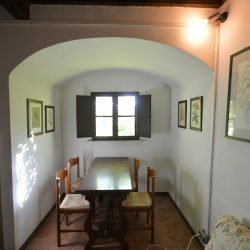 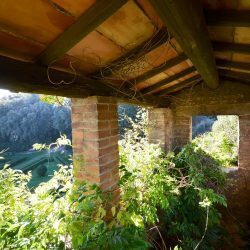 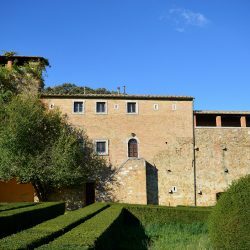 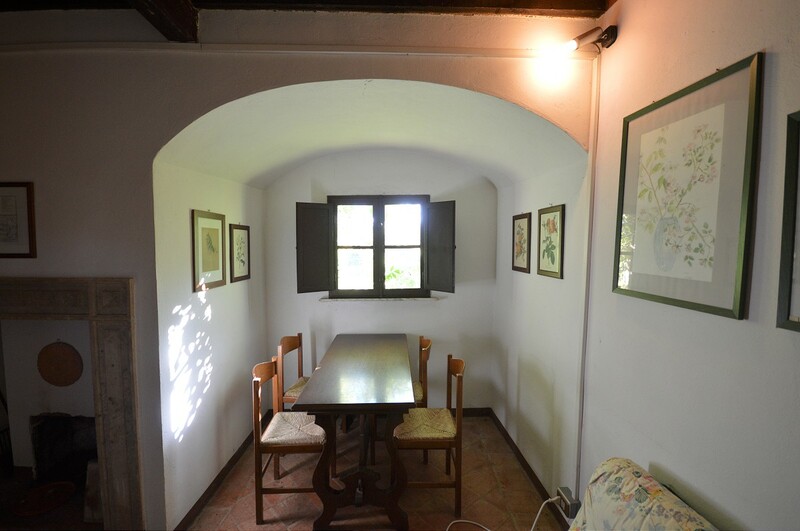 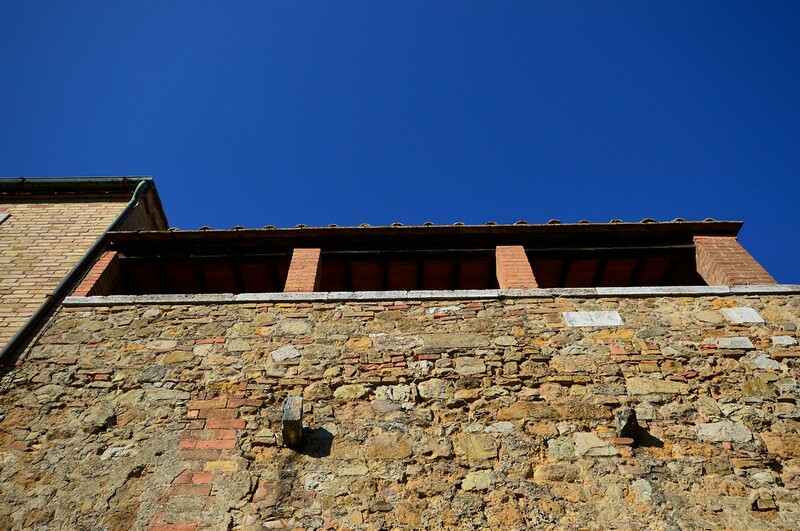 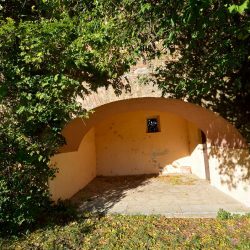 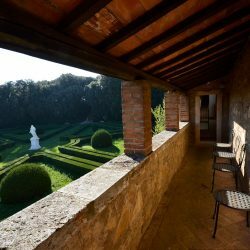 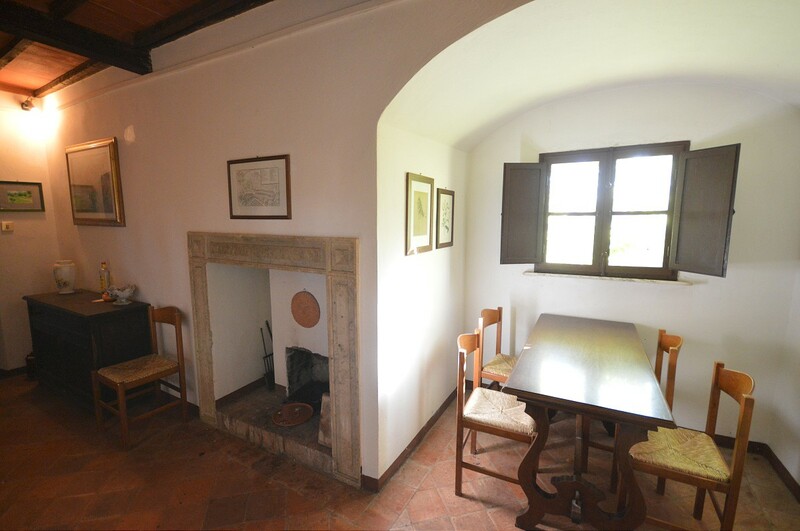 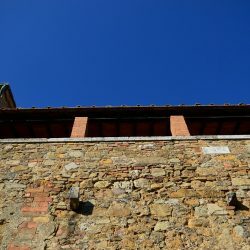 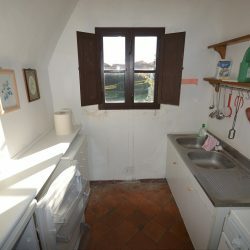 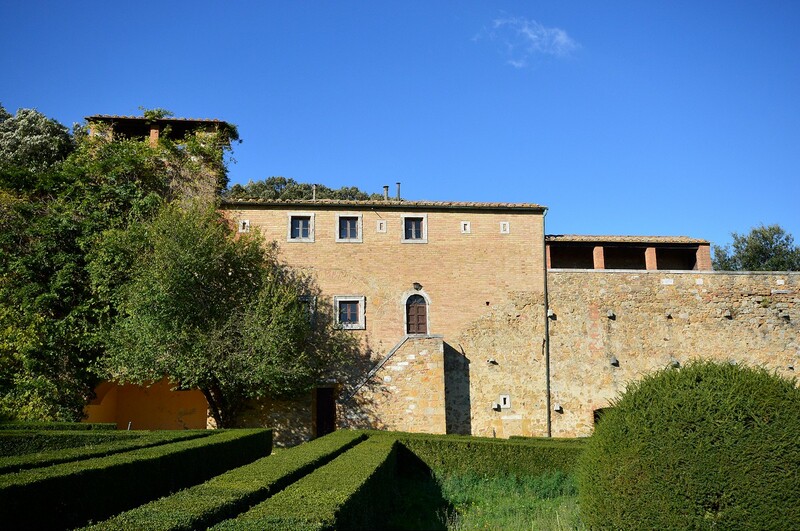 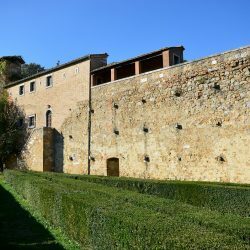 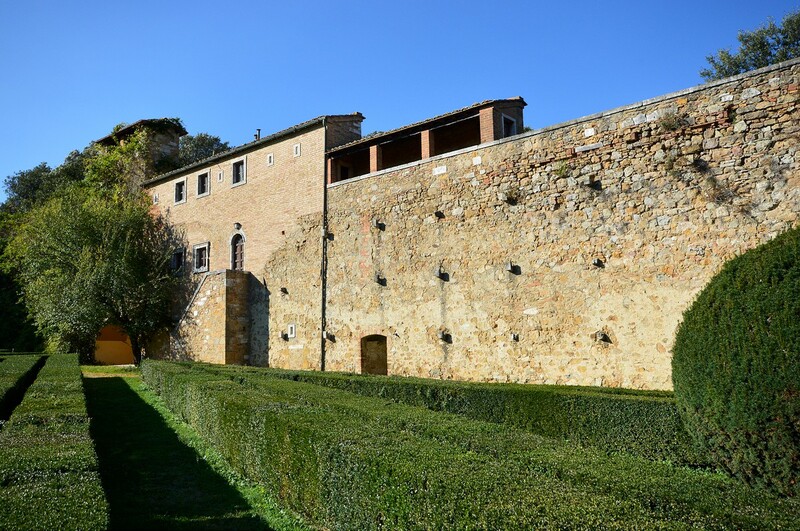 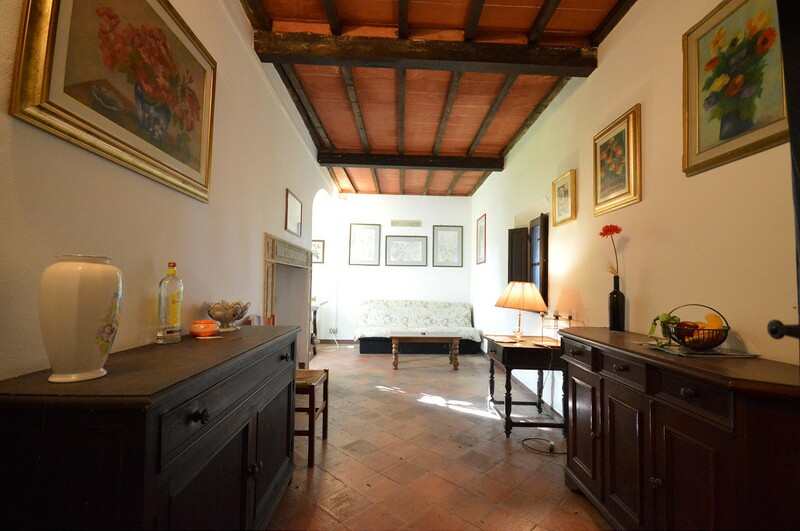 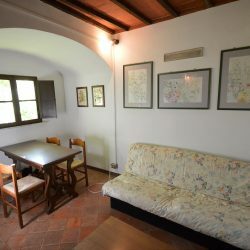 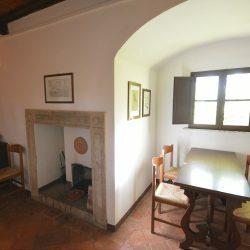 Unique property on the ancient walls of a charming village to the south of Siena. 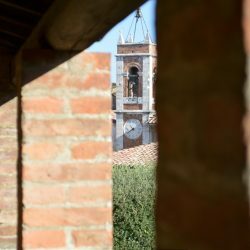 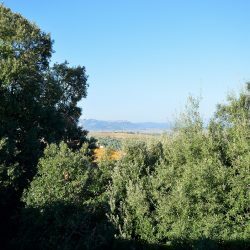 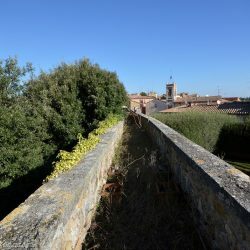 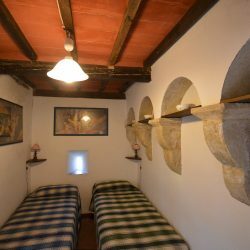 The interiors have beautiful architectural elements including ‘beccatelli’ – stone corbels – on a wall of the bedroom and the open loggias created over the ancient walkways of the old city walls. 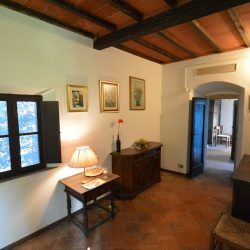 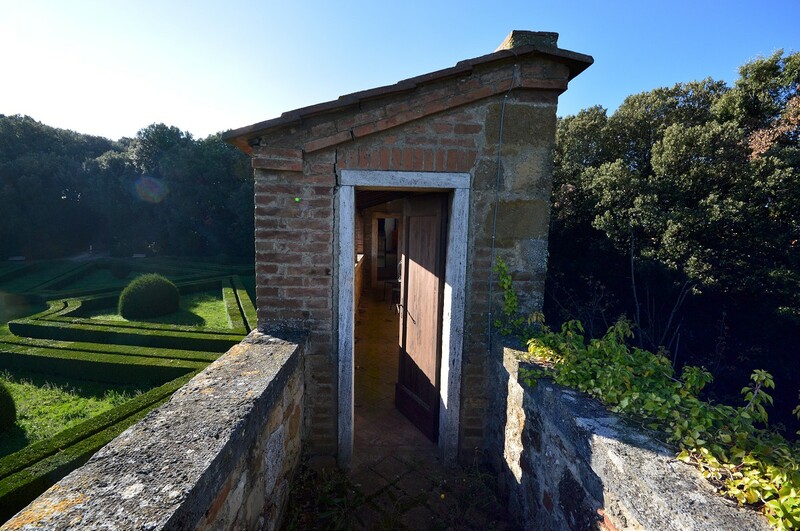 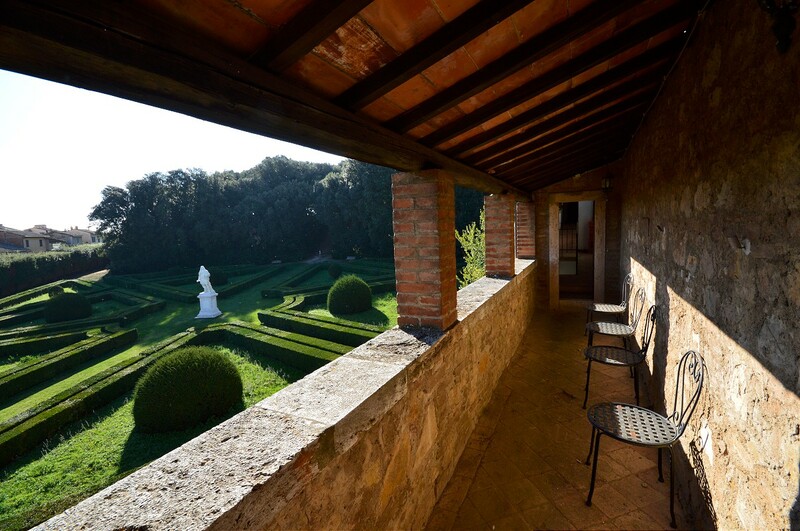 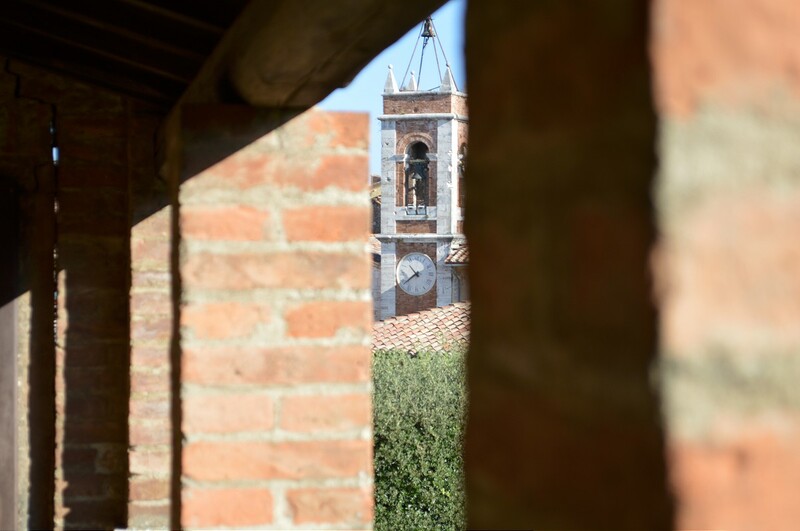 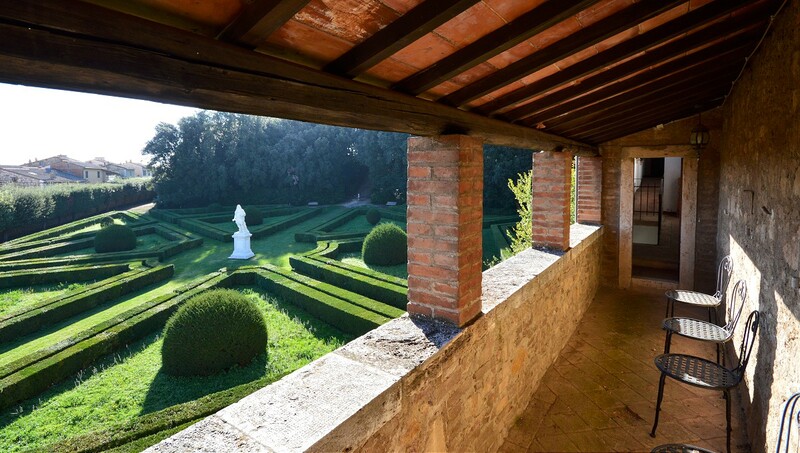 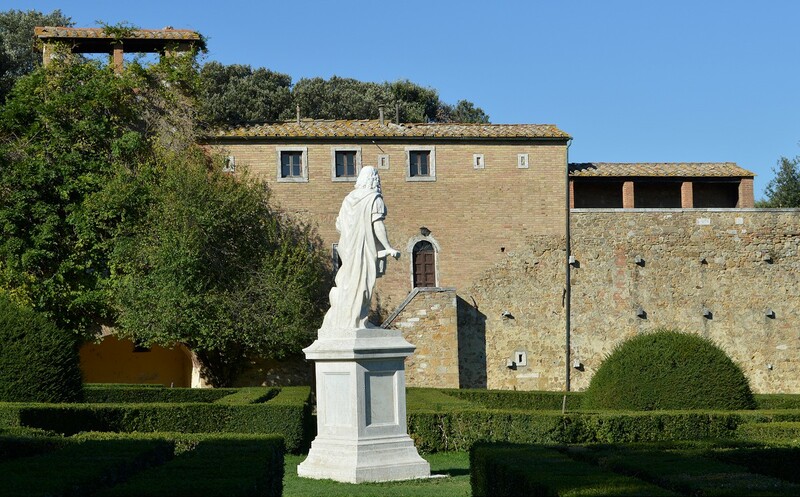 Ground floor – a private loggia with vaulted ceiling, overlooking the historic Renaissance gardens dating back to 1575 and designed by Diomede Leoni, a pupil of Michelangelo. 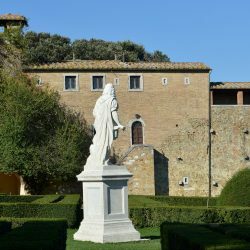 Diomede Leoni was an artist of Cardinal Ferdinando de Medici who received from the Grand Duke Francis I the land where Diomede Leoni realized the beautiful park that still bears his name. 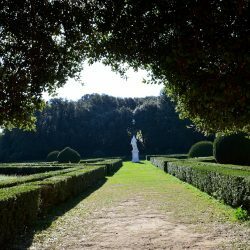 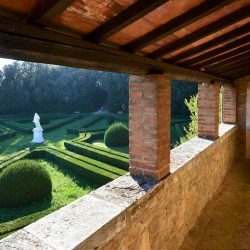 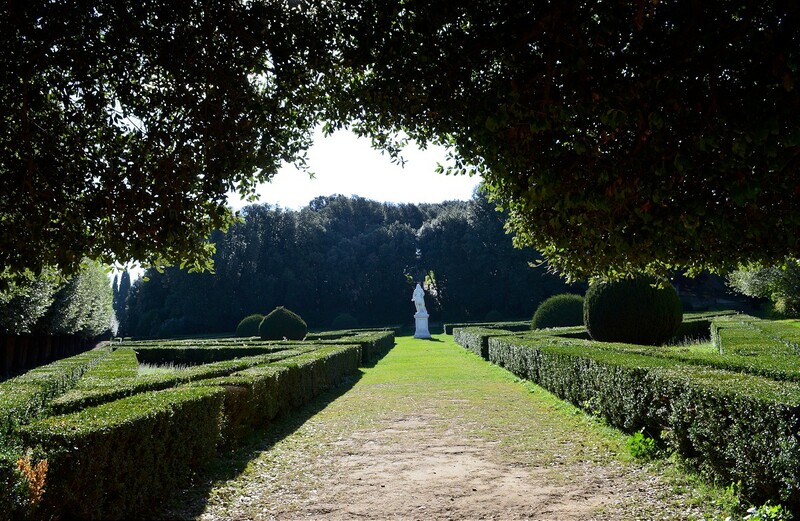 The park was designed independently of the manor house, and was planned as a place for travellers and passersby to relax, as Diomede Leoni wrote to Ferdinando de ‘Medici. 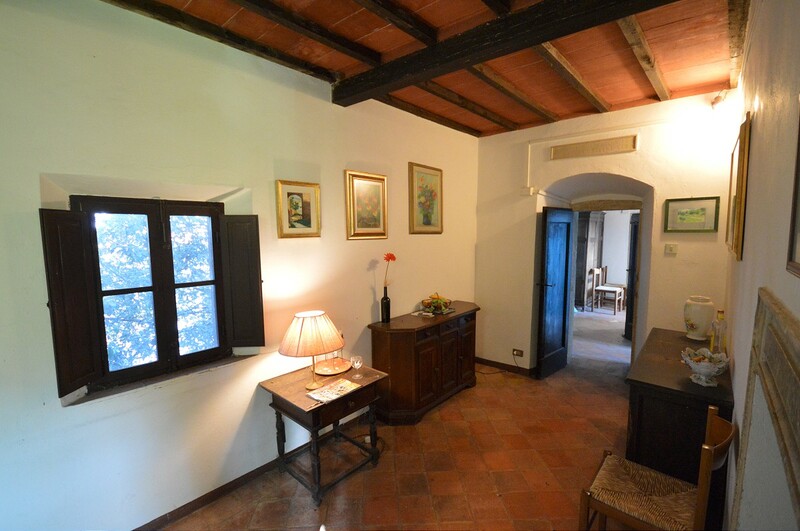 The ground floor of the historic house consists of two rooms and a storeroom with an average height of 3 metres. 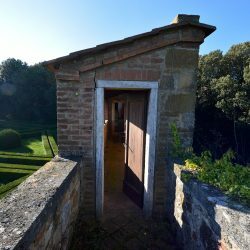 An external staircase leads up to the first floor which includes an entrance/hallway, a small kitchen, a living room, bedroom and bathroom. 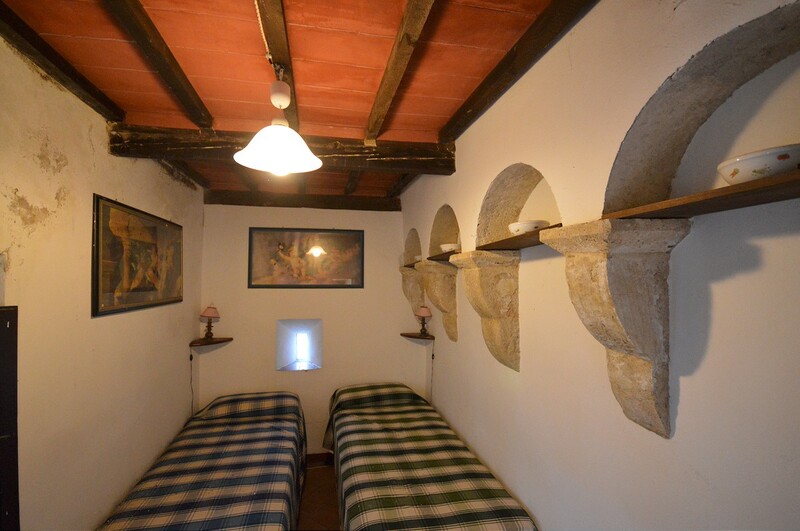 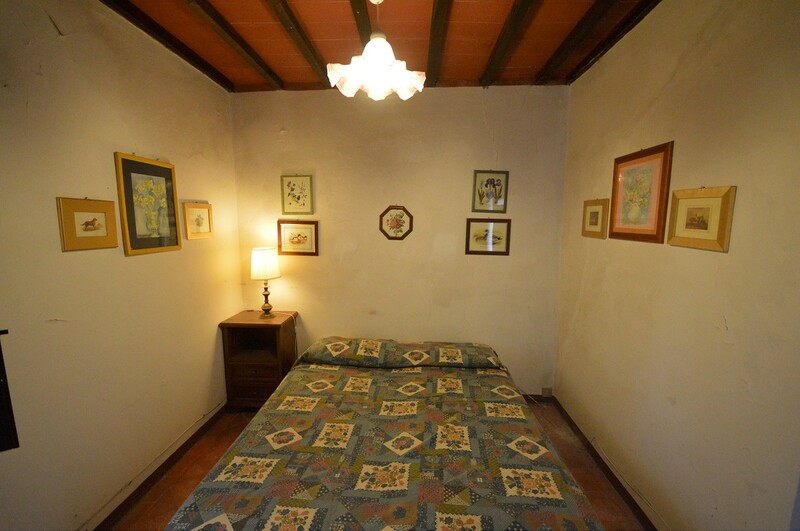 On the second floor, a bedroom, a utility room where a wc could be, and two panoramic loggias which lead to the ancient walkways on the walls. 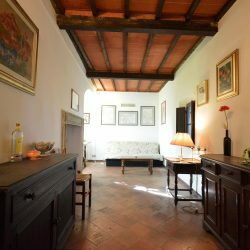 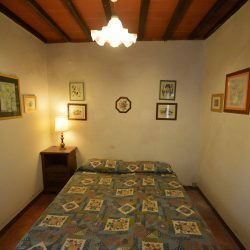 The property has a wonderful historic atmosphere both inside as well as in the various outdoor areas (shared) of this rare property. 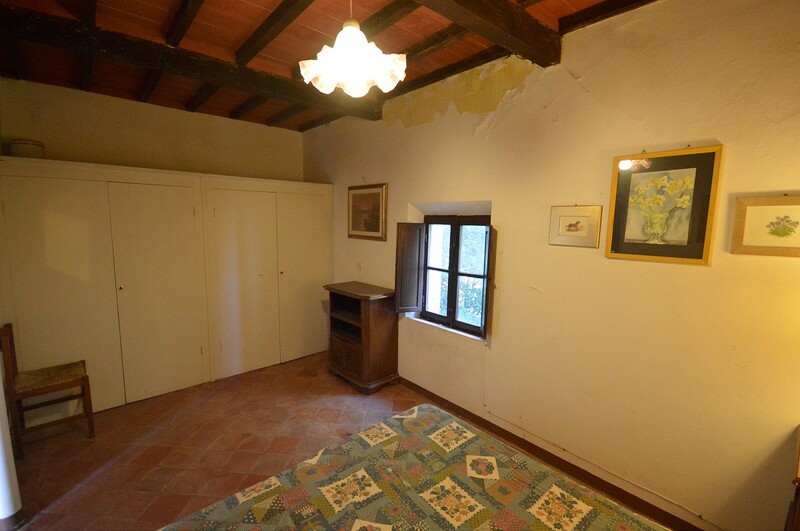 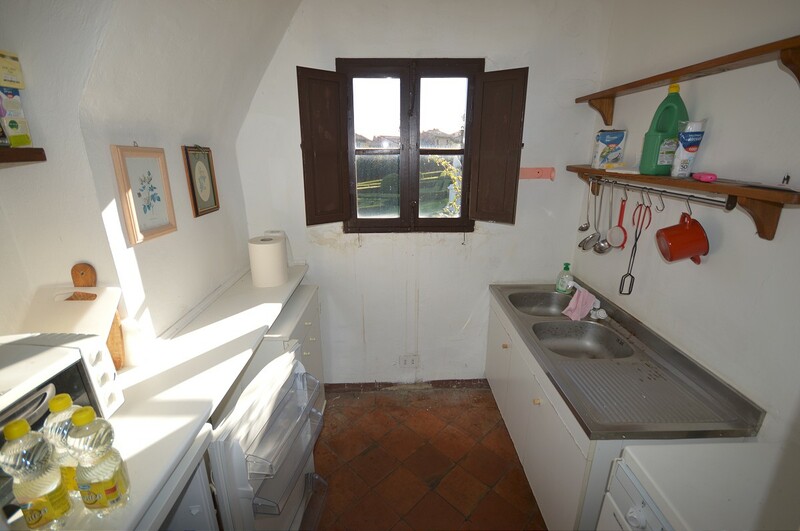 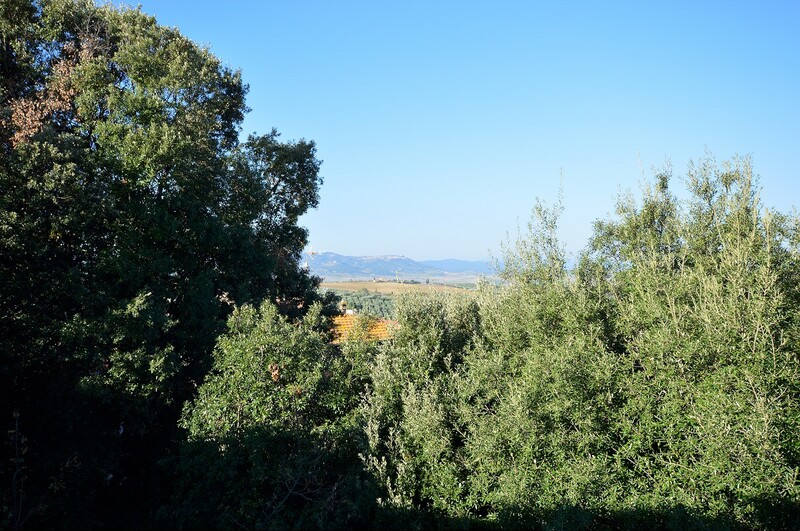 The floor area of the property is approx 122 sqm, the loggias and the walkways around 80 sqm.